After our usual August break to give you all a chance to get freaky in the desert, we're back with some of our typical shenanigans...and yet another completely absurd theme: polka dots! 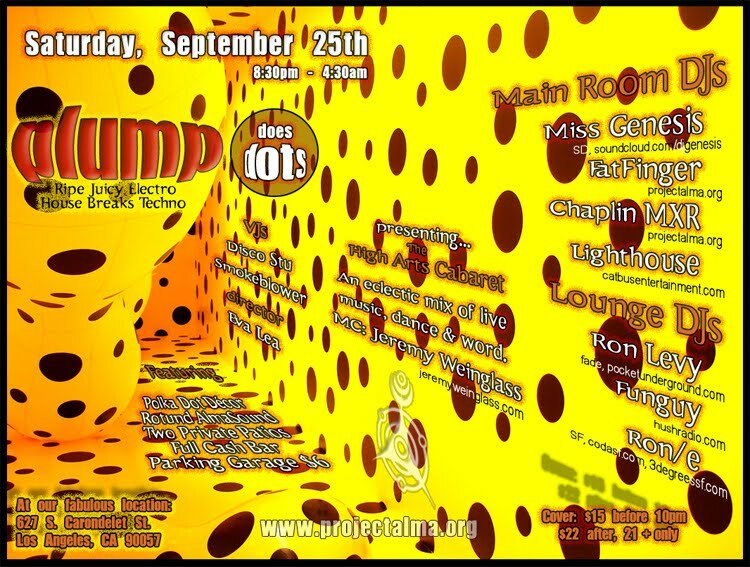 Oh yeah, we're expecting great outfits for this one... And in our never-ending quest to bring fresh talent to the stage at Plump, we have a whole gamut of new offerings. 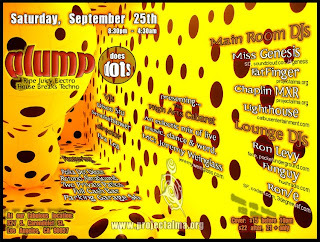 Four DJs will make their Plump debuts, Miss Genesis from SD, Ron/e from SF, plus Funguy and Lighthouse from right here in SoCal. But, perhaps the most important new addition is the High Arts Cabaret where the gallery used to be. This will be a vital new musical and artistic venue within Plump to showcase the many talented live performers in our community, featuring music, dance and word. Get to the Cabaret early to enjoy happy hour cocktails and tapas made to order. At our beautiful new residence, a century-old mansion!